Groove and Jun Planning before it have collaborated with a variety of different companies over the years, to bring us dolls in a variety of styles. Collaborations have included everything from popular anime series like Rozen Maiden and Sailor Moon to popular Japanese clothing labels such as Baby, the Stars Shine Bright and lifestyle brand Tokidoki. More information on the various collaboration series Pullip has been a part of including a complete list of collaboration dolls can be seen here. Ali ce in Wonderland, Fairy Tales and other Public Domain Inspirations Sometimes an intellectual property has been around for so long that the rights have expired and it has passed into the domain which means anyone is free to use the property as inspiration to their own works which is why we are always seeing new interpretations on stories like Little Red Riding Hood. 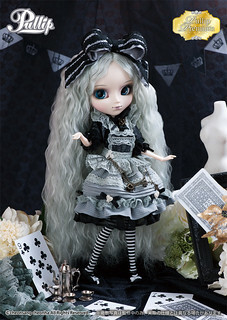 Alice in Wonderland in particular has gone on to inspire a great many different Pullip releases over the years. More information on public domain inspired Pullips including a list of dolls inspired by public domain works can be seen here. Starting in 2011, Groove started a line of dolls called Creator’s Label. 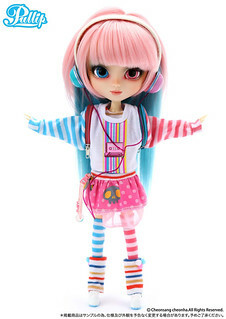 The Creator’s Label line is unique because Groove partners with different customizers from around the world to bring us dolls in that customizer’s style. So all the releases in the line are designed by different well known customizers, it gives everyone a chance to own a doll designed by some of Pullip’s top customizers that would otherwise would be out reach for many. More information on the Creator’s Label line including a complete list of dolls that were released as a part of the Creator’s Label line can be seen here. 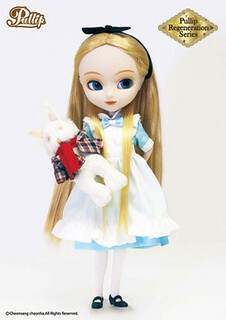 This category isn’t quite as cut and dry as the others, this category features all dolls created for an event they can be dolls exclusively available for sale at an event such as Doll Carnival Exclusive Dal Jouet or dolls specifically created to be displayed at an event or special occasion. For more information about Doll Carnival Exclusive Dolls see here, for custom dolls that were on display at Doll Carnival and subsequently put up for auction see here. 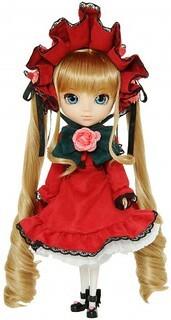 For additional information on dolls featured as a part of the We ❤ Pullip event please see here. 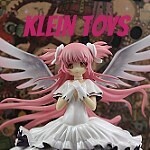 More information about the Red Cross Japan Earthquake Relief Fund Auction Dolls please see here. For more information about comic-con exclusive dolls please see here. 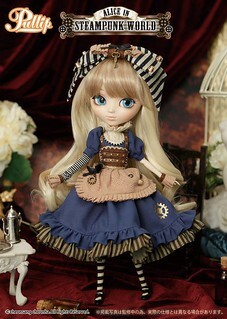 Pullip Premium is the newest line to be introduced by Groove. The new line features designs of popular previous releases but with some new designs incorporated into it as well as new colors and fabrics. More information on the Pullip Premium line including a complete list of dolls released as a part of it and comparisons with the original releases that inspired them can be seen here. The Regeneration Pullip series was released in 2012, by popular request Groove recreated several popular classic Pullip releases in the new style. More information on the Regeneration Pullip line including a complete list of dolls released as a part of it and comparisons with the original releases that inspired them can be seen here. The My Select series debuted in 2012, the dolls released were new basic versions of popular previous releases. They came only wearing a towel wrap and did not come with a stand. The dolls released as a part of this line were all priced affordably as the dolls were intended for possible customization or simply to be redressed as their new owners’ pleases. This series predates the MIO or Make It Own series of customization items so they were a great option at the time if you were looking for a doll at a low price to customize. All the dolls released as a part of the My Select Pullip line can be seen here.